It's geography class right in the tub with Alex' World Map foam puzzle! 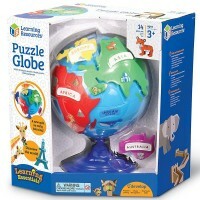 From the foamy mountain tops to deepest oceans this puzzle will take you around the world right in the tub! 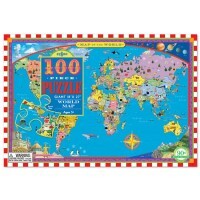 World Map in the Tub 30 pc Foam Puzzle by Alex Toys is a unique educational bath toy for preschool and older kids. 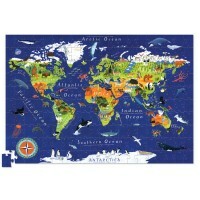 This 30 piece foam puzzle features a brightly colored map of the world. 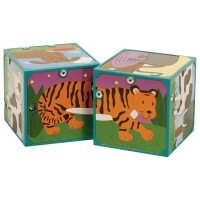 Learn about the whole wide world full of animals, landmarks and geographic points of interest. 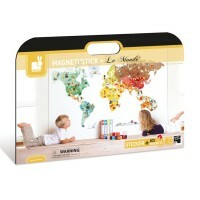 The world map bath toy from Educational Toys Planet features the foam pieces that float and stick to the tile wall or bathtub when wet and a storage mesh bag with suction cups. 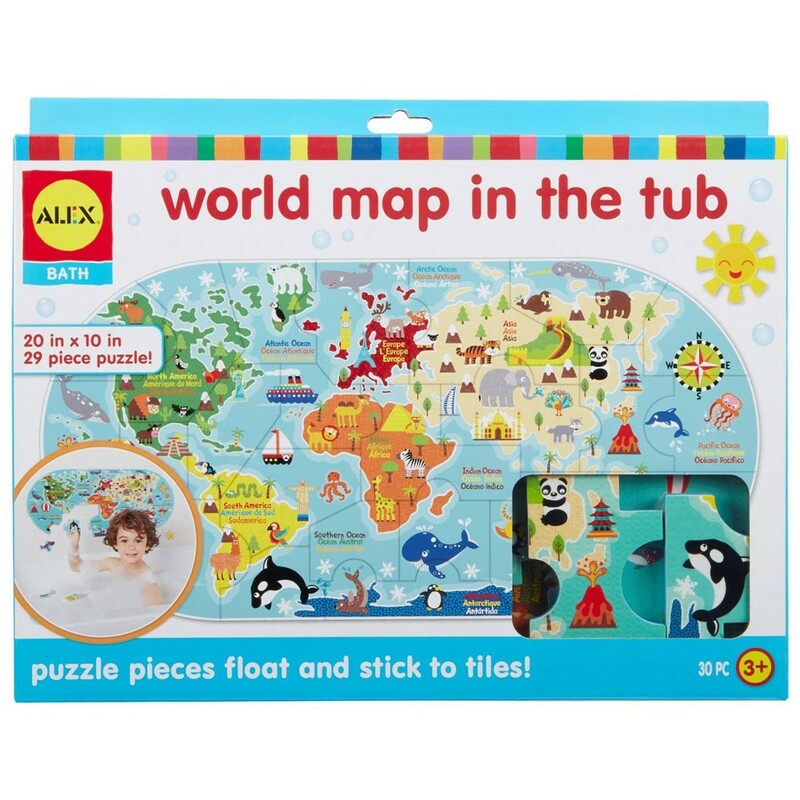 This world map puzzle bath toy includes extra pieces featuring compass, famous landmarks, vehicles and more to inspire your child to have an imaginary trip around the world, and right in the tub! 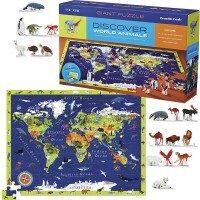 The assembled world map puzzle is 20 x 10 inches. 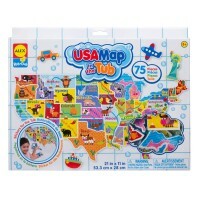 Use your bath soaking time wisely: learning geography! 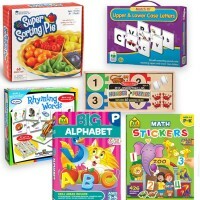 Dimensions of package 2.25" x 7.5" x 9"
Write your own review of World Map in the Tub 30 pc Foam Puzzle.